I Don't Wanna Talk About it was written by Danny Whitten and first recorded by Rod Stewart and later by Everything But The Girl. The sheet music banjo tab is in G major. 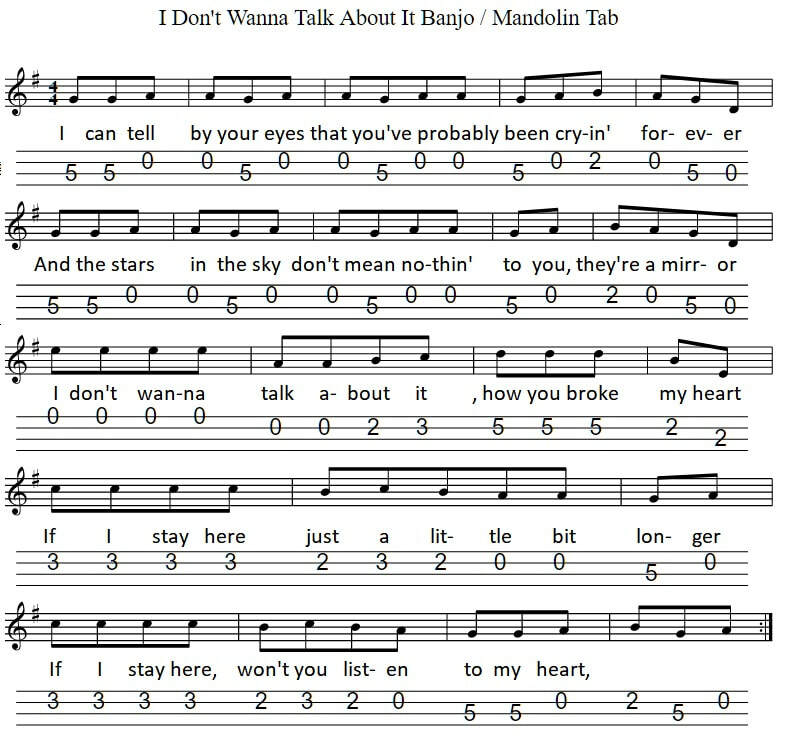 I don't wanna talk about it popular song sheet music for mandolin and tenor banjo.